HMD Global and FIH Mobile on Thursday announced that they had completed their buyout of Nokia assets from Microsoft which opens a way for return of Nokia branded smartphones to the market. As expected, HMD and FIH will keep selling Nokia-branded feature phones in developing countries but will add a range of android-based smartphones and tablets to the lineup in 2017. The two companies hope that relationships with operators as well as manufacturing assets (Foxconn) will be instrumental for making their endeavor a success. As reported earlier this year, HMD Global and FIH Mobile, a subsidiary of Hon Hai/Foxconn Technology Group (we will call the company “Foxconn” for simplicity), paid Microsoft approximately $350 million in cash for various Nokia-related assets. 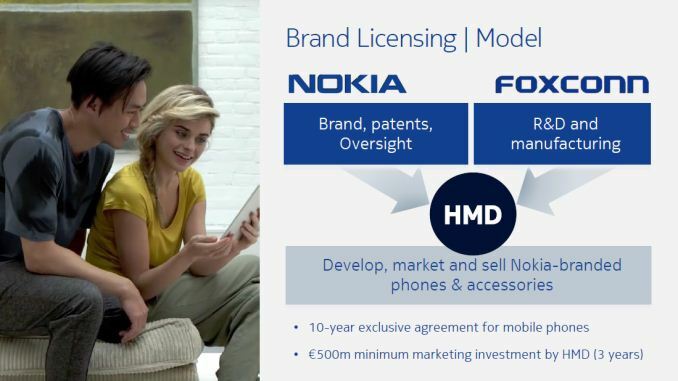 Under the terms of the agreement, HMD got exclusive rights to use the Nokia brand on mobile phones and tablets globally (except Japan) for the next 10 years, standard essential cellular patent licenses, software for feature phones and some other intellectual property. Meanwhile, Foxconn got a manufacturing facility in Hanoi, Vietnam, which is used to manufacture Nokia-branded devices along with customer contracts, critical supply agreements, sales and distribution assets (in fact, these will be owned by a subsidiary of FIH called TNS and HMD will have rights to acquire TNS over the next ten years) and so on. HMD and Foxconn will jointly develop, manufacture and sell Nokia-branded devices, whereas Nokia will participate in development and will receive royalties covering both brand and IP rights from HMD for sales of every Nokia-branded product. The three companies are poised to work together because they critically depend on assets owned by each other. In its announcement on Thursday, HMD reaffirmed plans to introduce a range of Android-based smartphones and tablets in 2017. The company’s announcement was short on details, but it confirmed that the devices will be jointly developed with Foxconn under supervision of Nokia (which intends to control certain aspects of design, performance, and feature-set of the devices), who has know-hows not only in high-volume manufacturing but also in device engineering. Given the short amount of time that HMD, Foxconn and Nokia had to design their new devices, expect the latter to use already known hardware platforms, but add certain elements for differentiation. We do know that Nokia has developed its own UI for Android called Z Launcher, hence it is logical to expect the company to expand the project for Nokia-branded smartphones. Meanwhile, since a lot of important Nokia IP (e.g., PureView imaging, ClearBlack display, etc.) remains at Microsoft, three companies will have to either develop certain technologies from scratch or use off-the-shelf solutions. Such approach has pros and cons: on the one hand, it is hard to create a unique device based on popular platforms; on the other hand, it is possible to build a device in a relatively short amount of time. Hence, expect HMD Foxconn and Nokia to reveal their first smartphone already in the first half of 2017. 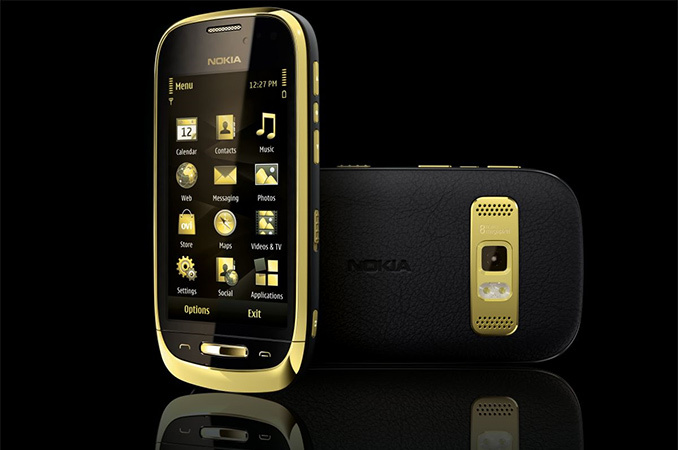 Right now, the core business of HMD and Foxconn is Nokia-branded feature phones that are popular primarily in developing countries. On Thursday, HMD also announced the Nokia 216 handset with a 2.4” display running the Nokia 30-series software that will be inexpensive but will still provide basic “smart” functionality like Internet browsing and multimedia playback. Even though sales of such phones are rapidly decreasing, there are still hundreds of millions of such devices sold every year. HMD naturally hopes that it will be able to replace feature phones with inexpensive smartphones and thus will capture a sizeable chunk of the market. As such, expect HMD to focus on not only advanced models for the U.S. and Europe, but also on affordable smartphones for countries like India and Russia, where the brand is particularly strong and where reasonably priced phones are popular. From a market share point of view, inexpensive models are more important than the flagship devices. Nonetheless, Xiaomi and some other makers clearly demonstrated how fine flagship devices affect brand recognition, hence, they are crucial for success. Wrapping things up, the deal between Microsoft, HMD Global and FIH Mobile is now closed and Nokia-branded smartphones (and tablets) are on their way back to the market. It is unlikely that we will hear about them anything at CES, but HMD Global will be present at MWC 2017 and this is where the firm will likely showcase at least some of the upcoming products or at least their key features. Sources: HMD Global, FIH Mobile, Nokia. 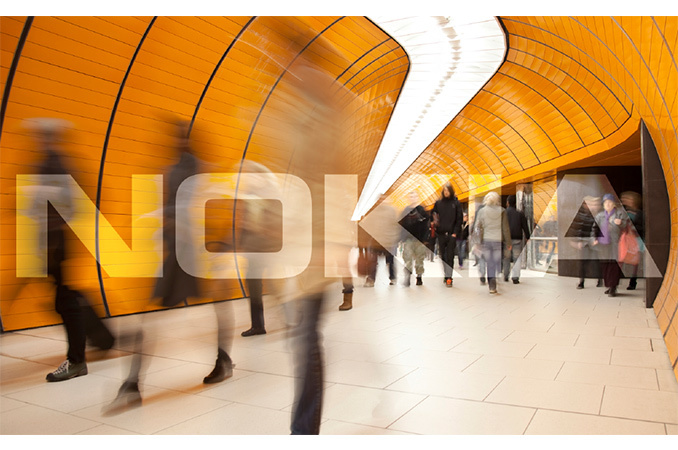 Nokia is concentrating in the network business, and getting ready to launch the 5 G.
5G feels an awful lot like 3D or dare I say it, 4K. It's good and all, but does anyone want it enough to pay for it? 4G is more than 'enough'; heck 3.5G is. 4K is just a stepping point to Arbitrary-Sized-Vision, and I wouldn't be using a browser if not for nvme. The current Nokia leadership is made up of old Nokia people so this isn't the classic "brand milking" resurrection. If dozens on Chinese brands manage to get something ok(ish) on the market we can assume that Nokia should also be able to produce a model worthy of attention. Possibly a higher quality low cost phone or one that manages to differentiate itself through the software. You're acting like you already know this is just "nostalgia". How come you never ask "what's the point" when Xiaomi, Meizu, Huawei, Axon, Oneplus, ZTE, Honor to name only the bigger names (not even getting into the BLU, LeEco, etc.) whip out yet another phone? Nokia already has 2 epic fails on its tab, it ran its phone business into the ground, failing to stay relevant back in the days when it was still in the game and had plenty of resources. Then the division was picked up by M$ and it was supposed to be big, heck by now windoze phone was supposed to be 1/3 of the market. The market share for the platform was below 1% for the last quarter, lumias didn't even make it to the charts, and that's with the tons of money and strings M$ can pull. So pardon my enthusiasm for the resurrection of that utter failure. It cannot be anything other than nostalgia milking. Foxconn got a cheap deal, but even so, they were likely duped into paying more than its worth. @ddriver It's amazing how you jump into each and every comment section that has anything to do with Microsoft and use words like "Windoze" and "M$" in every single one of your comments. I'm still amazed that someone can feel so passionately about something that doesn't affect them in any way.